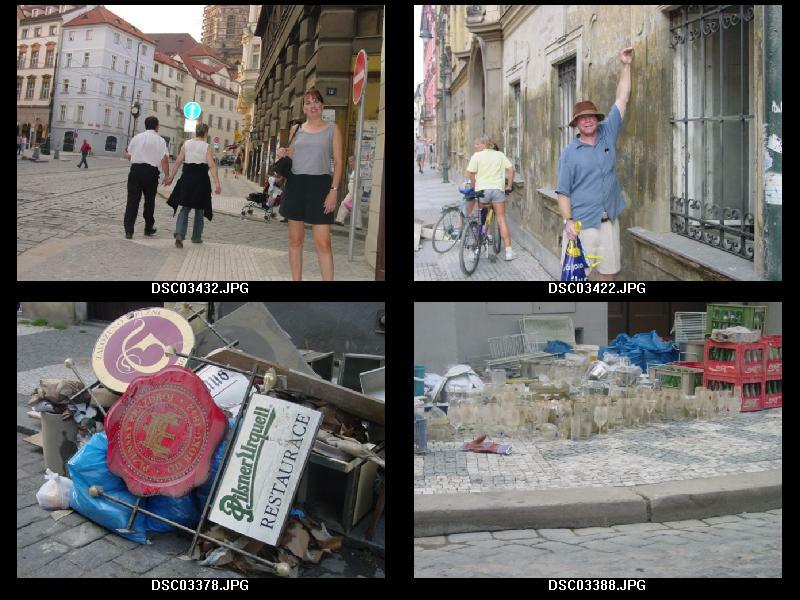 These photos were taken in August, 2002, during a tour of Prague. 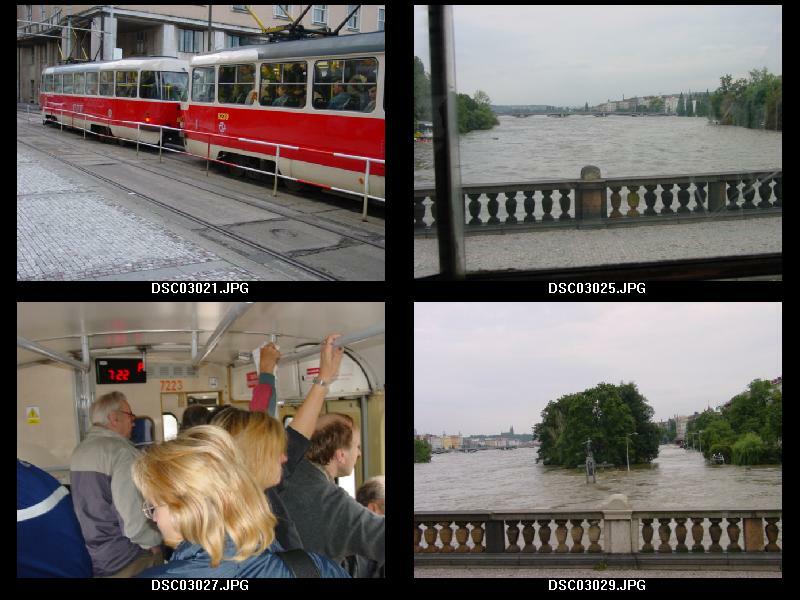 These photos were taken during the flood of the Vltava River. The river could only be crossed in a streetcar. No pedestrians or cars were allowed. We made the best of the situation. 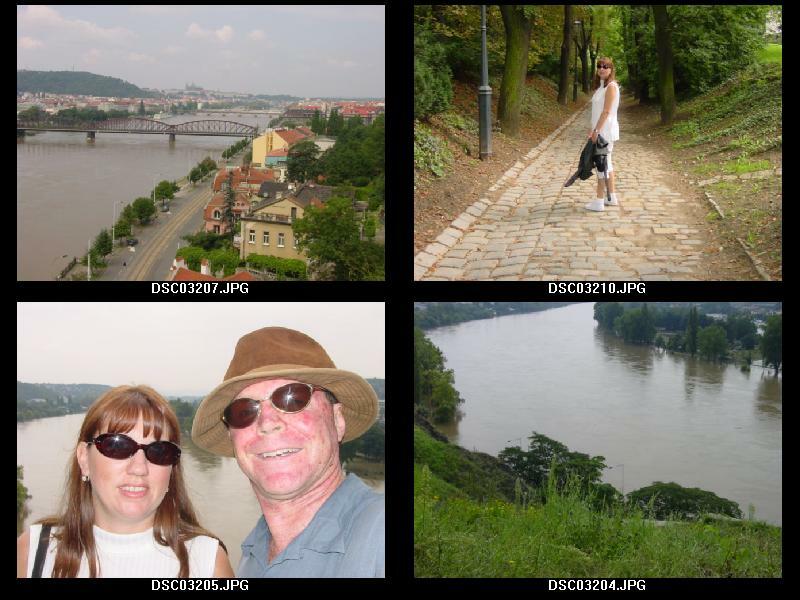 These photos were taken at the famous Fortress Vysehrad. It overlooks the river. Tammy Lamm walking in Prague. I hope you liked these photos.